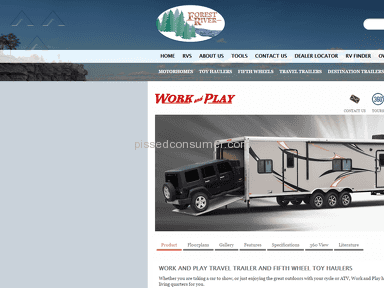 January 10, 2014 we ordered a 2014 Forest River Work and Play 40FK from Lazydays RV in Seffner Florida. Our salesman was Jim Jones. We chose the Work and Play because we were told that it would be the trailer that we needed to haul our Jeep in. My husband and I also spoke with a spokesman from Forest River before we ordered to make sure this was the right trailer for our needs. His name was Ed Salomon. We were told if we ordered right away before the big RV Show, that we would have our new trailer in 6 weeks. 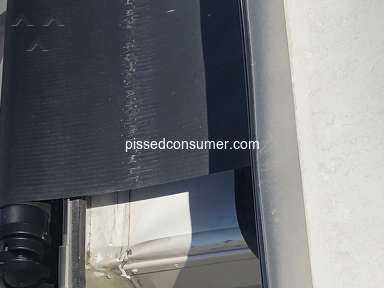 March 20, 2014 (10 weeks later) Ed Salomon informed me that one of the walls on the trailer had a large bubble on the side where it had started to de-laminate and that the entire wall would have to be replaced. This is where we should have walked away from the deal, but I was assured that it would be like new when we took delivery of it. 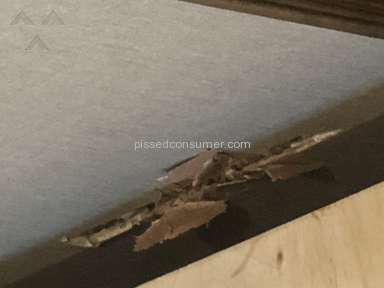 Below is a photograph I received from Ed Salomon showing plastic covering up the bad section of wall. clip_image002 Forest River also extended a 2 year warranty to us if we continued with the deal, again assuring us that we would never know that the old wall had been removed and a new one put in its place. It was also discovered during the conversations with Ed Salomon that Forest River had not added a TV that we had ordered and that he would check with his boss to see if Forest River would add the TV. 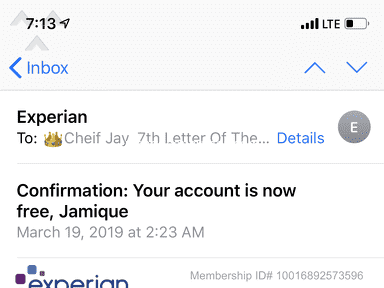 March 31, 2014 (Almost 12 weeks later) I get an email from Jim Jones at Lazydays saying it's finally ready and that we can get the transporter to Forest River to get it. 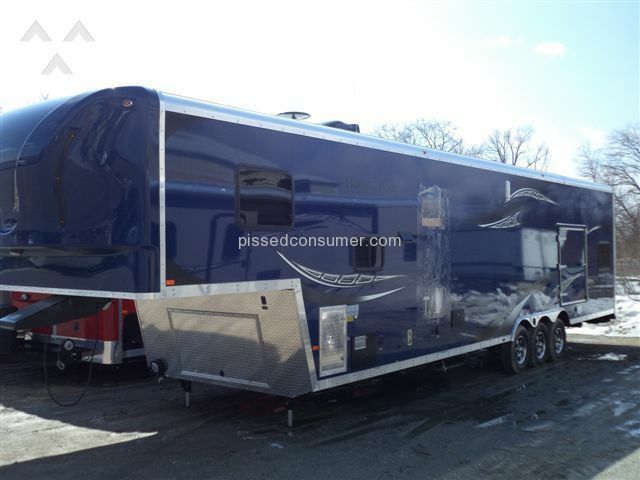 April 4, 2014 Trailer finally arrived at Lazydays via Transporter. We went to see it and discovered that the bed that we requested be installed in the front section of the cargo area, had been installed in the back section of the cargo area and it was installed with incorrect hardware. April 21, 2014 Bed finally installed in the front section of the cargo area with the proper hardware and we can finally sit down and sign the paperwork. ALMOST 15 WEEKS AFTER ORDERING IT WHEN WE WERE PROMISED IT IN 6 WEEKS. April 23 - 27th, we took it to Daytona for Jeep week and suffered the entire weekend because the air conditioner that we were promised was big enough to cool the entire trailer was in fact not big enough to even come close. This infuriated us because we asked both Jim Jones and Ed Salomon when we ordered it if the A/C was sufficient or if we should pull the 2nd A/C of the unit we traded in and they both told us we didn't need a 2nd unit. April 28, 2014 Trailer was taken back to Lazydays to have 2nd A/C unit installed as well as fix one of the leaking jacks on the landing gear. May 27, 2014 Trailer is still at Lazydays and not fixed. I had to make first payment and have only had possession of the trailer for a total of 4 days. Getting more and more aggravated with the whole deal and Lazydays made us feel like our trailer was not a priority. June 2, 2014 Kim Vance from Lazydays informed me that the A/C was still not sent by Forest River. June 6, 2014 Kim Vance notified me that the A/C unit finally arrived. June 11, 2014 Received email from Kim Vance saying it's done and will be washed the next morning and ready for pick up. This kind of treatment is completely unacceptable and the trailer has never seemed "brand new" to us. We could tell where the wall had been taken out as trim work and wallpaper was never quite right. October 26, 2015 Trailer taken back to Lazydays as the rear ramp de-laminated and cracked and to have outside shower fixed (it never worked from day 1) and to have landing gear repaired again. The landing gear would constantly trip the breaker upon retracting and one of the jacks continued to leak. January 8, 2016 Trailer is finally supposed to be ready after sitting there almost 2 months and when my husband goes to pick it up guess what??? The landing gear still does not work. It continues to trip the breaker. January 11, 2016 I'm told that instead of researching to find the problem with the circuit breaker tripping, they are going to just put in a bigger circuit breaker. THAT DOESN'T FIX THE PROBLEM, ONLY MASK IT UNTIL SOMETHING ELSE FAILS OR CATCHES FIRE!!!) I call the Vice President of Lazydays Ron Fleming and he has Steve Jensen call me. I express my concerns to Steve Jensen and he forwards me an email from Charles at Forest River saying that they give the go ahead to just put a bigger breaker in without addressing the problem. January 15, 2016 Someone with some brains finally worked on our trailer and discovered that the hydraulic lines for the landing gear were installed backwards the last time the landing gear was worked on by Lazydays, which was causing the circuit breaker to trip. I informed Lazydays to make sure that the correct amp circuit breaker was put back in it now that the problem was discovered. January 19, 2016 We finally get the trailer back in our possession with the new rear ramp and the landing gear and outside shower allegedly fixed. February 4, 2016 While loading our Jeep in the trailer to go away for the weekend, we notice that the new door has now been down rated to a weight capacity of 2500 pounds, which is half of what the original door was rated. 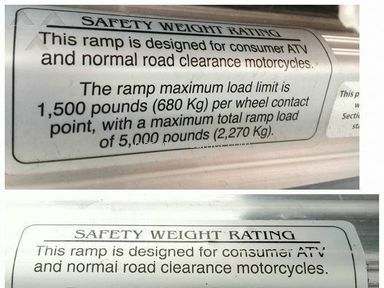 The original ramp door was rated at 5000 pounds which is why we bought the Forest River Work and Play in the first place. We would not have purchased this trailer if the ramp was only rated at 2500 pounds and we find that very deceptive on Forest River's part. Following is a comparison photo. 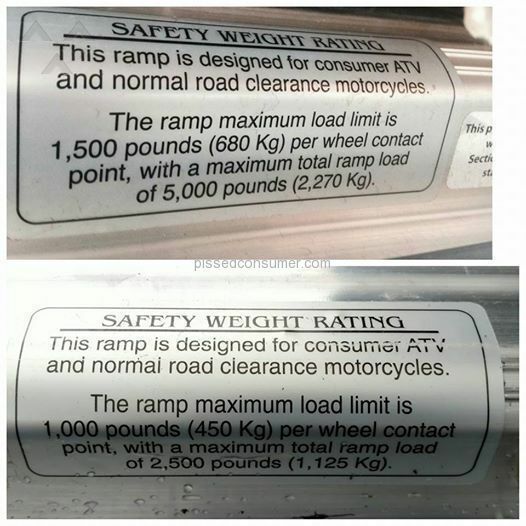 Top is the rating sticker off the original door, and bottom is the weight rating sticker the new door. This is completely unacceptable and again, I can't express enough how deceptive this is. clip_image004 Following is a screen shot of Forest River's website for the Work and Play. Notice a 4 Door Jeep is shown on the rear loading ramp of the Work and Play, which is a heavier Jeep than our older 2 Door Wrangler. February 7, 2016 We have also noticed that the same wall that was replaced before we took delivery originally is beginning to de-laminate again, alone with some noticeable cracking of the new rear ramp door. We are completely fed up with this trailer as well as the poor customer service that we have received from Lazydays and Forest River. It is now very apparent, that a trailer from Forest River does not meet our needs after all, even though we were assured that it would. In which case we expect this trailer to be bought back from us so we can begin to shop for a trailer that meets our needs and expectations. We will give both Lazydays and/or Forest River an opportunity to make this right and in a timely manner or we will be forced to seek legal representation. I didn't like: Craftsmanship has suffered from the start. Review #785905 is a subjective opinion of gdzjeep7. 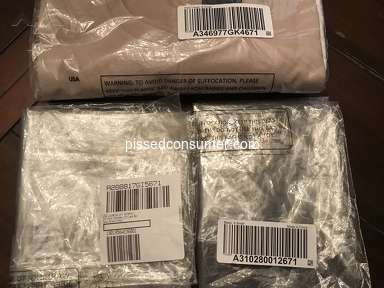 Everyone needs to stay away from Forest River products. Typical marketing, and ripoff by our american RV industry. Please let us know the outcome. I am not surprised at all with the workmanship - we took outer RV to Campung World to replace the lighted mirror in the bathroom - went to pick it up and they had changed out the perfectly good lighted bedroom mirror instead; of course we didn't pay for it. 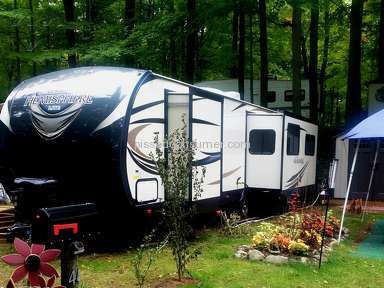 I just recently purchased a Work and Play travel trailer from a dealer in North FL that was ordered from the factory. I too was promised a delivery in 6 weeks from Ed Salomon. Luckily having been around the block a few times I knew that this guy was telling me what whatever I wanted to hear just to land the deal. I had the dealer incorporate into the sales agreement a contractual obligation to deliver the unit 7 weeks from the date of the sales agreement so that I could walk from the deal and get my deposit back if they did not deliver. During the closing of the deal, Ed Salomon gave me his contact info and told me to contact him any time with questions about the unit and delivery. I reached out to Ed Salomon 3 weeks prior to the delivery date to check and make sure everything was on track. As I suspected the song and dance began. After a lengthy game of cat and mouse, I finally backed him into a corner with a specific line of questioning. Once he realized that the jig was up, instead of manning up, he simply said "You'll have to deal with the dealer from hear out". Nice going Ed!!! Anyway, after applying some serious heat and a few bumps in the road, the dealer came thru and delivered the unit only a day late which was acceptable to me. I've only taken the unit out once and brought it back to the dealer with a few warranty issues that should be solved fairly easily. We'll see how that goes. My opinion is that these dealers should not let a factory rep stick his or her nose into their deals. If you are planning on purchasing a Work and Play from a dealer in FL, my advice would be to either find one in stock at the dealer or have a very large patience cap (which I don't have) if you plan to order one from the factory. If Mr Salomon inserts himself into your deal, it's probably because your a tough negotiator, the dealer has reached out for factory assistance $$$ and he thinks that his interaction with the customer will help close the deal. Beware of this situation and the hollow promises from Ed Salomon with Forrest River Work and Play. Your AC unit was probably built in China and it's over rated by 25% so don't get too hot under the collar in Florida. Trailers are not designed by registered engineers and 20% of the gas engineer's in the industry don't have a degree. If the a/c is a black one made by Dometic, it's 25% over rated. Like everything else on that unit.